Nepal imported black peppers worth more than Rs5 billion through two customs points — Integrated Check Post (ICP) and Sirsiya Dry Port — in Birgunj in the last fiscal year, a seven-fold jump as compared to the previous fiscal year’s imports. Government officials have no clue why it observed such a dramatic rise in imports as the spice has hit the top ten lists of goods imported via Birgunj. Breakdown by imports, 6,747 tonnes of black peppers worth Rs2.80 billion were imported through the ICP in the last fiscal year. The consignment through the dry port amounted 5,517 tonnes worth Rs2.24 billion, according to the customs statistics. Traders had imported 967 tonnes of black peppers worth Rs666 million through the ICP while 900 tonnes of spice worth Rs631 million were imported through the dry port in the previous fiscal year 2016-17. With a surge in import, the government revenue collection from the spice has also jumped significantly. Santosh Yadav, chief information officer of the ICP, said that many big traders have been importing black peppers in bulk. And imports are made mostly through the dry port. “As traders can import in bulk amount through the railway service, they mostly use the dry port instead of the ICP,” said Yadav. He, however, said that imports have started to slowdown after the government revised customs duty on the item. This, however, has indicated that like lentils and betel nuts, black peppers are being re-exported to India through clandestine channels, taking advantage of nominal customs duty, some traders said. Nepal’s lentil imports far surpass domestic requirements, and most of the shipments are being re-exported to India after being labeled as Nepali products. The surge in black peppers imports could for a similar reason, they said. The government, through the budget announcement, had doubled the customs duty on black pepper to 10 percent. On top of it, 13 percent value added tax (VAT) is imposed. Similarly, the government has also revised the tax base while fixing the customs duty. According to the customs office, the black peppers’ base price is now fixed at $3,700 per tonne. Earlier, the government used to charge duty based on the import invoice that the importers produced before the customs authority. Unscrupulous traders used to smuggle black pepper, imported from the third country, to India. 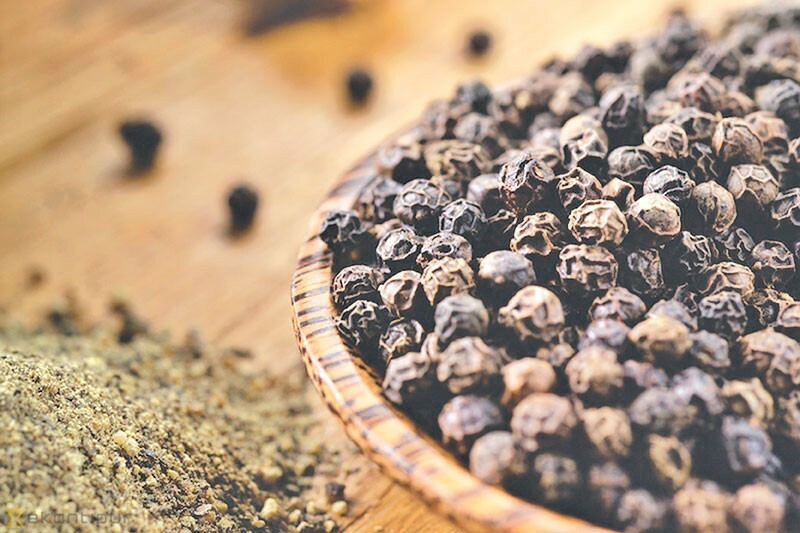 The authority claimed that the illegal trading has come down heavily after the police confiscated large amounts of black pepper bound for the southern market last month. Currently, a number of traders, from Birgunj in particular, have been involved in import of the spice. Dabur Nepal and Chaudhary Group are among the main importers of black peppers. Majority of the spice comes from Brazil and Vietnam.